It's done! It's finally done! It has taken me over two years to finish! That is insanely long time, and I do not expect my next project (Simple Rose by Dimensions) to take that long. I do try to stitch a lot more. 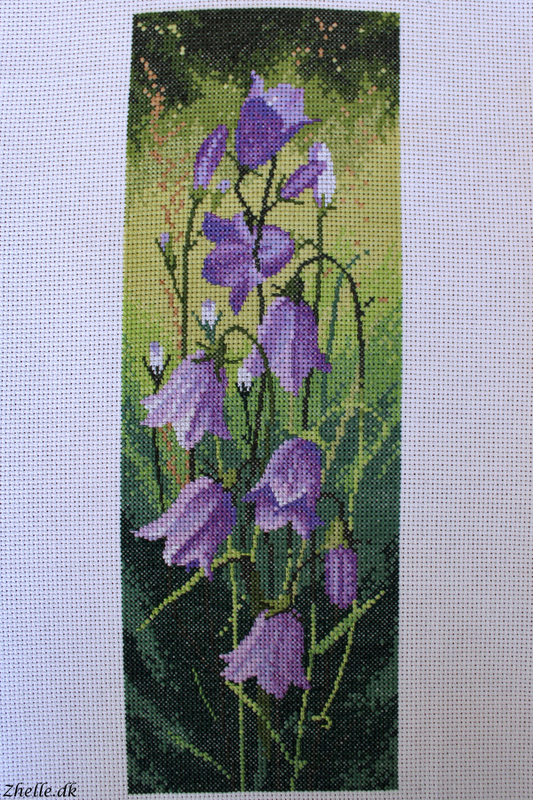 The last few weeks I have stitched like a maniac on the harebell panel. I could taste the finish. I longed for the finish. So I stitched almost every night. I have always considered myself a slow stitcher, but I might be more of a "only sitting for 20-30 minutes at a time with weeks in between" stitcher. So I will see if I can stitch more often and finish projects a little quicker. Anyways, enough of my rambling! Are you ready to see it? Are you? Here you go! 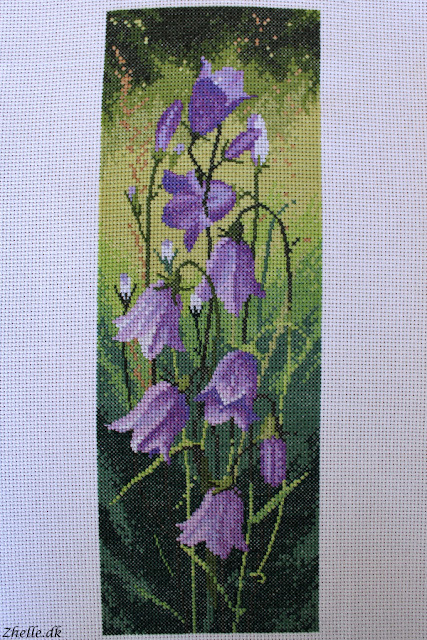 It is John Clayton's Harebell Flower Panel by Heritage Craft, and it can be purchased on their website here. I'm gonna frame it, but I need to find a frame that can fit it. It is 31 x 11 cm, so it is quite odd measurements to find a frame for.